Don't waste time sifting through pharma noise. 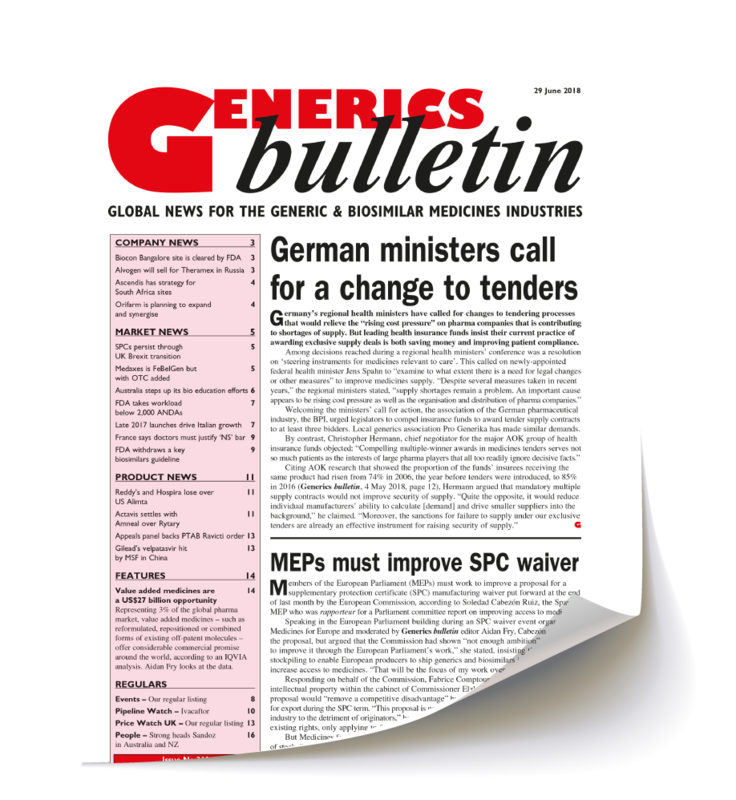 Generics bulletin delivers all the information you need to make better decisions faster. Join thousands of subscribers from companies in nearly 60 countries who are already benefitting from commercial intelligence about business opportunities in the global generic medicines and biosimilars markets. Accurate and reliable news reports reveal the strategies of the world's leading generics companies and analyse their business performance, plans and portfolios. And a searchable archive offers an invaluable resource for researching market opportunities, benchmarking competitive strengths, evaluating regulatory changes and assessing product developments.